Real Estate Exhibitions are always an exquisite opportunity for real estate dealers from developers, brokers, investors or counselors to display their latest real projects and network amidst an environment full of expertise, knowledge and miscellaneous real estate options and solutions. Here we present 8 of the top and leading real estate exhibition in the GCC taking place in 2017 for those interested in participating and benefiting from such exhilarating and rich experience. A yearly real estate exhibition which takes place in Dubai World Trade Centre, Cityscape 2017 is set to kick off from the period from September 11th, 2017 to September 13th, 2017. 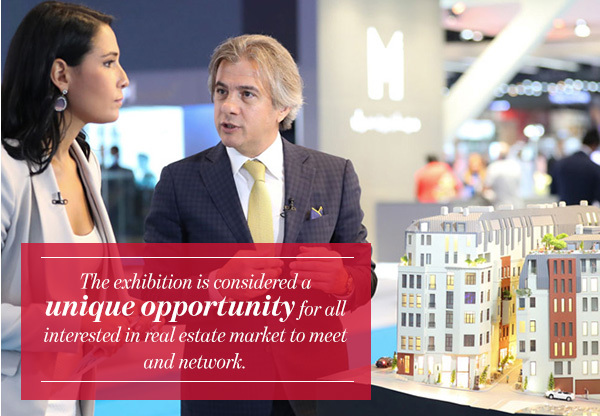 The exhibition is considered a unique opportunity for all interested in real estate market to meet and network. From renowned real estate developers in the region to leading institutional investors, government authorities, private investors, construction companies and consultants, Cityscape is considered one of the most weighty real estate exhibitions in the Middle East. 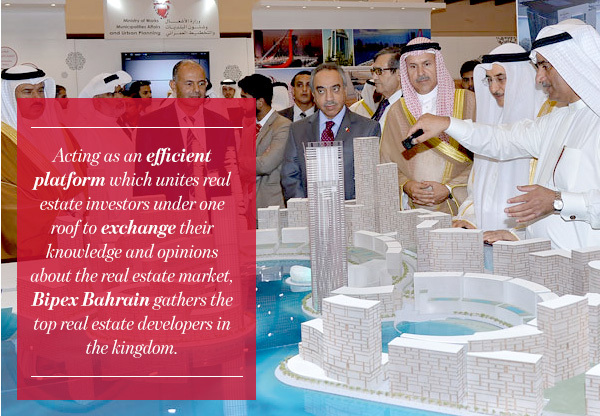 Acting as an efficient platform which unites real estate investors under one roof to exchange their knowledge and opinions about the real estate market, Bipex Bahrain gathers the top real estate developers in the kingdom. Within an open environment that encourages consumers, investors, real estate developers, brokerage companies as well as legal and financial institutions to openly discuss and make decisions, Bipex is a proof of the Bahraini Real Estate market’s strength and progress. Organized by Bahrain society of engineers, Bipex 2017 will be held in Bahrain International Exhibition and Convention Centre from October 27th, 2017 till October 28th, 2017. 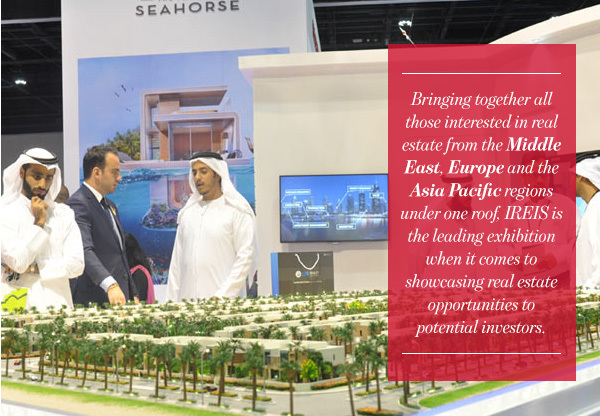 Bringing together all those interested in real estate from the Middle East, Europe and the Asia Pacific regions under one roof, IREIS is the leading exhibition when it comes to showcasing real estate opportunities to potential investors. Happening on November 2nd, 2017 till November 4th, 2017 in Abu Dhabi National Exhibition Centre; the show’s 9th edition will feature leading properties around the globe for its visitors. Under the Patronage of His Royal Highness Prince Misha’al bin Majed bin Abdulaziz, Governor of Jeddah; Cityscape Jeddah 2017 is set to take place on November 1st, 2017 till November 3rd 2017 in Jeddah Centre for Forums and Events. 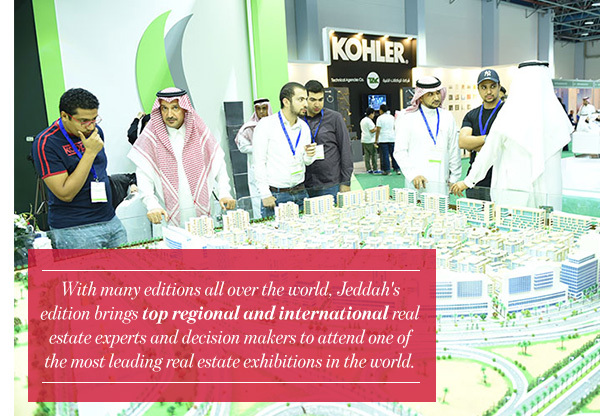 With many editions all over the world, Jeddah’s edition brings top regional and international real estate experts and decision makers to attend one of the most leading real estate exhibitions in the world. An outstanding opportunity for real estate investors and developers to display and benefit from the face-to-face interaction. 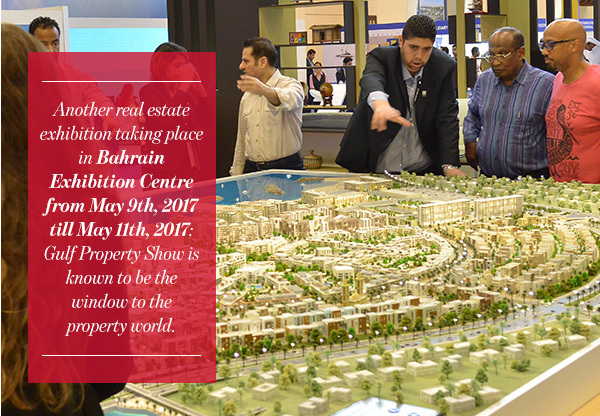 Another real estate exhibition taking place in Bahrain Exhibition Centre from May 9th, 2017 till May 11th, 2017; Gulf Property Show is known to be the window to the property world. 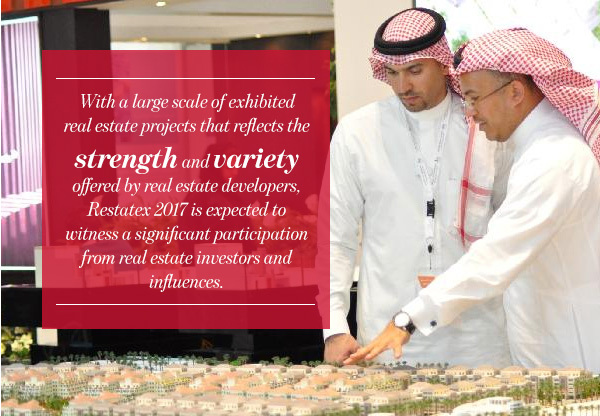 With plenty of participants showcasing their present and future high-end real estate projects in the kingdom, Gulf Property show 2017 will witness the participation of major real estate developers in the kingdom such as Bin Faqeeh Real estate, Gulf Finance House Real Estate, Al Bilad Real Estate among other renowned names in the field. Taking place in Doha Exhibition and Convention Centre from March 13th, 2017 to March 15th, 2017; Cityscape Qatar will feature exclusive deals and offers for potential buyers seeking luxurious properties for sale, rent or investment. 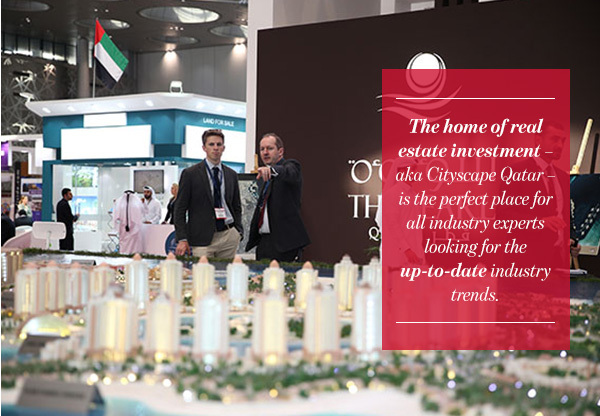 The home of real estate investment – aka Cityscape Qatar – is the perfect place for all industry experts looking for the up-to-date industry trends. Showcasing award winning real estate projects, Cityscape Qatar 2017 is expected to eye leading real estate developers in the field. Featuring deluxe real estate opportunities from all over the world from Kuwait, Bahrain, Saudi Arabia, UAE, Egypt, Oman, England, France, Germany, Spain, Canada and Turkey; KIPS is known for offering a wide selection of properties that meet the needs of all investors. Ending their 2016 edition on November 12th, KIPS hasn’t announced 2017 exhibition exact date yet. 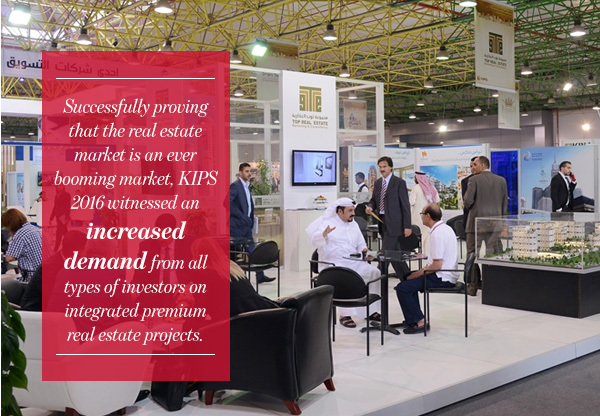 Successfully proving that the real estate market is an ever booming market, KIPS 2016 witnessed an increased demand from all types of investors on integrated premium real estate projects. Riyadh International Convention & Exhibition Center will see Restatex 2017 edition in the period from April 23rd, 2017 till April 26th 2017. With a large scale of exhibited real estate projects that reflects the strength and variety offered by real estate developers, Restatex 2017 is expected to witness a significant participation from real estate investors and influences.